Produktinformationen "NEVROTIX - Paranoid LP"
Now it’s here!!! 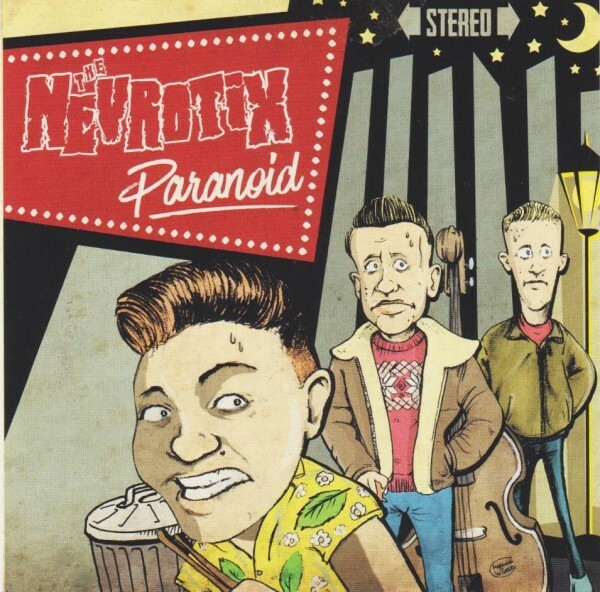 The awaited debut album from the Swedish psychobilly trio The Nevrotix! Weiterführende Links zu "NEVROTIX - Paranoid LP"
LAB RATZ - Terror Is Loose LP green ltd.
SPASTIKS - Sewer Surfing LP yellow ltd.!! SPASTIKS - Sewer Surfing LP testpressing ltd.
SPASTIKS - Cannibal Clan 7"EP yellow ltd.
ASTRO ZOMBIES - Frogs Legs LP col.
STRESSOR - No More Panic LP ltd. SHARKS - Phantom Rockers LP red ltd.
STOMPIN' MAD BATS - Angry Noises LP RED/BLACK ltd.
KLAX - Last Zyborg LP neon yellow ltd.
ANNY - PxWxC 7" ltd.